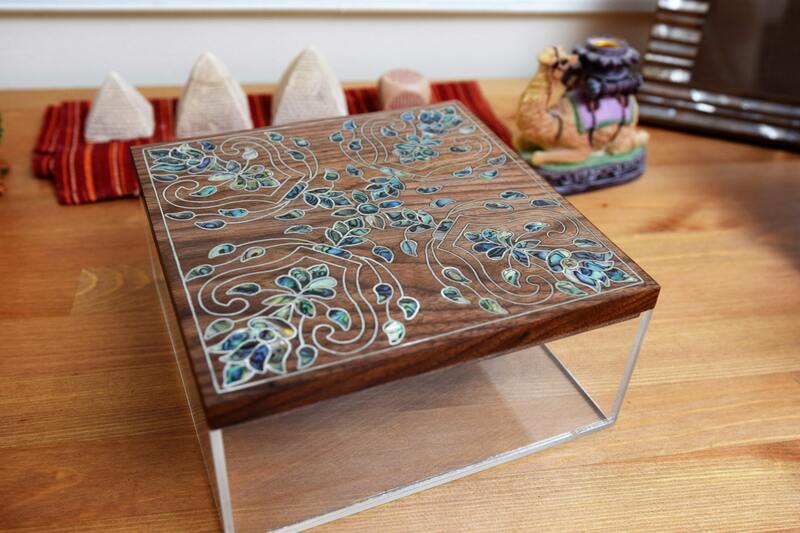 This multipurpose Wooden Jewelry box evokes a sense of class and charm. 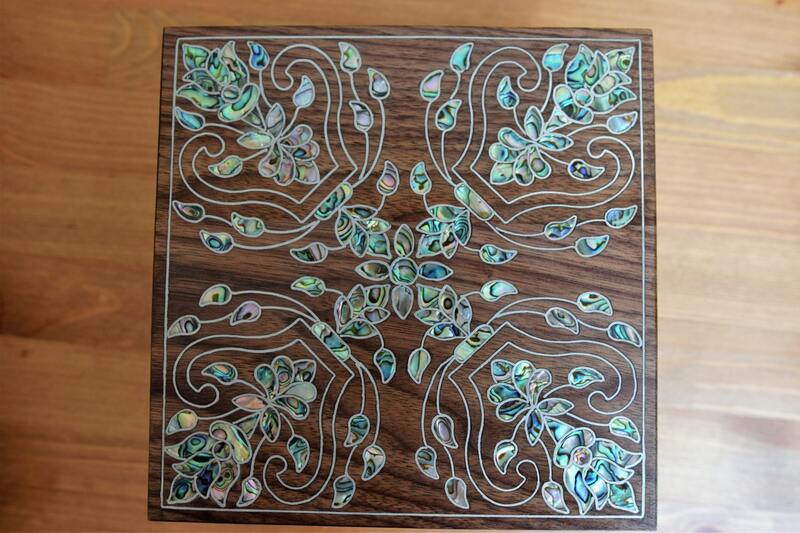 The Box is made of Walnut Wood and inlaid with green colored genuine mother of pearl. 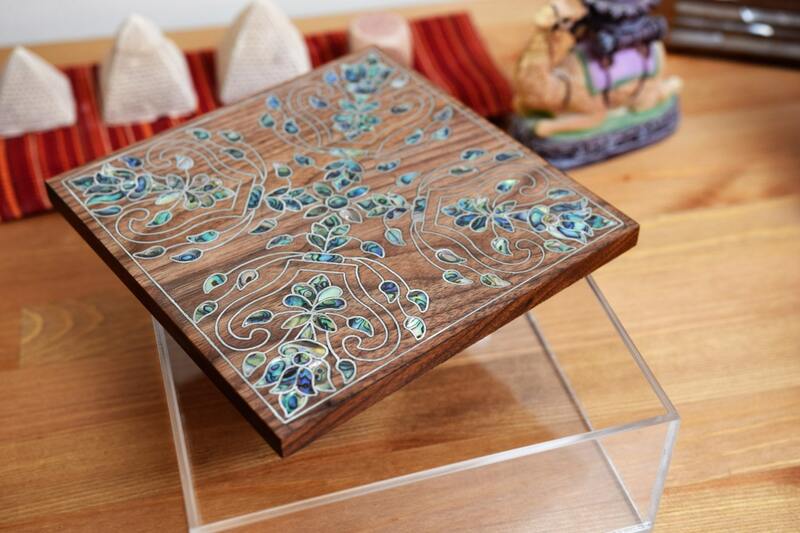 The box is completely Syrian handmade, and it’s perfectly designed. 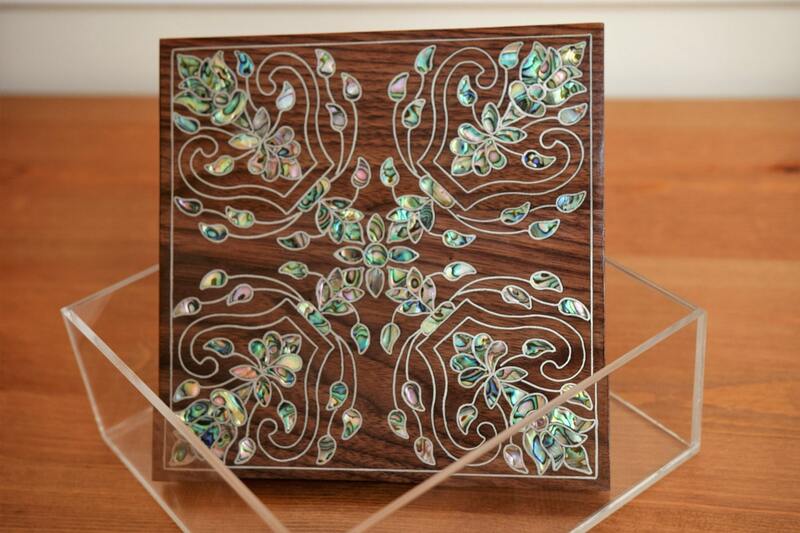 The box has multipurpose uses such as a home decor, and you can add your Jewelry, amount and many other tiny things. This is a top quality product made by Syrian craftsmen with skills not available elsewhere. You are getting one of a kind, specific item that will last a lifetime. 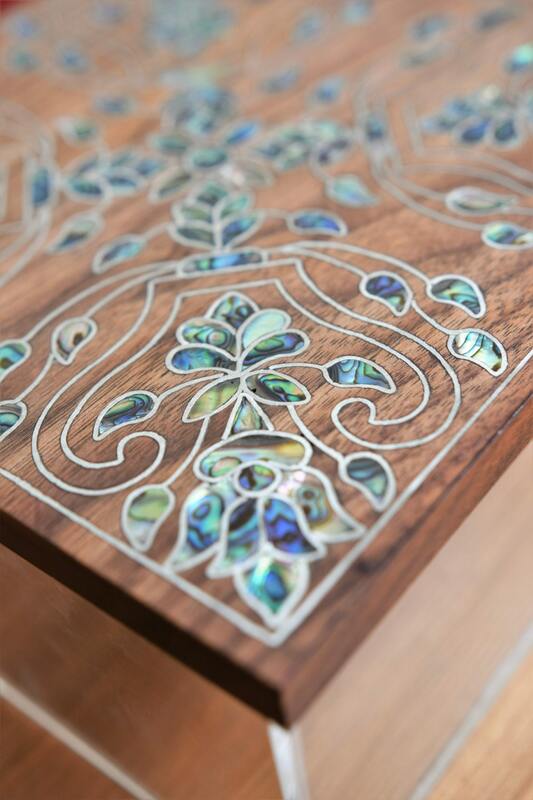 Our products are handmade by traditional artisans working in Syria; each time is a piece of art and modern.